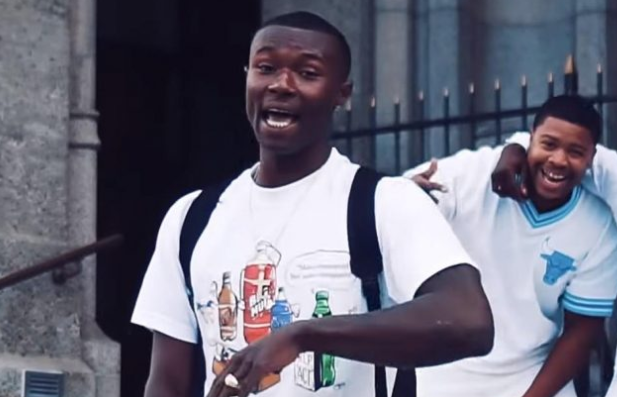 A California rapper who had been sleeping in his car was killed by police. Willie McCoy, also known by his stage name as Willie Bo was an up-and-coming rapper from California. He was asleep in his car outside of a Taco Bell. A Taco Bell employee called 911 and said there was a man was “slumped over” at the wheel in the driver’s seat of a silver Mercedes, implying that he was unconscious, and had police come check it out. The police arrived and found Willie McCoy unresponsive at the wheel. Having confirmed that he was sleeping at the wheel, police now claim that he had a handgun placed on his lap while he was sleeping. Police say the door was locked, and the car was on. They claim they woke him up and told him not to move, and called for back up. They then claim that after calling for backup, he suddenly “Moved”, and all 6 officers, each fired multiple rounds into the car from different angles, which lasted a total of 4 seconds, killing Willie McCoy. Police claim that the handgun had allegedly been stolen in Oregon and was fully functional. I want to put things into perspective for one moment. The “Stolen gun” part in itself sounds sketchy coming from cops, as the gun is not originally his, but let’s leave aside planting of guns/drugs and the history the police have with that, and leaving aside that people don’t just “randomly” sleep with a gun in their lap. The police confirm the man was sleeping at the wheel, as they had to wake him up. They then claim to wake him up, call for back, and he allegedly “Moved”, and the sudden movement caused them to fear for their lives. All of that seems like an enormous lie. Unless the man wanted to commit suicide, there’s not a single black man who would reach for his gun when surrounded by 6 police officers. If it was 1 police officer, it would still seem extremely sketchy, but for there to have been 6 police officers at different angles, for a black man to think they’d be able to “Get away” by shooting each and every single one of the police officers and then driving off, is one of the most impossible scenarios I could think of.